I have to admit- I had no idea what a fairy garden was prior to checking out this product. However, I am now a believer in the power that a fairy garden can have over a preschooler! 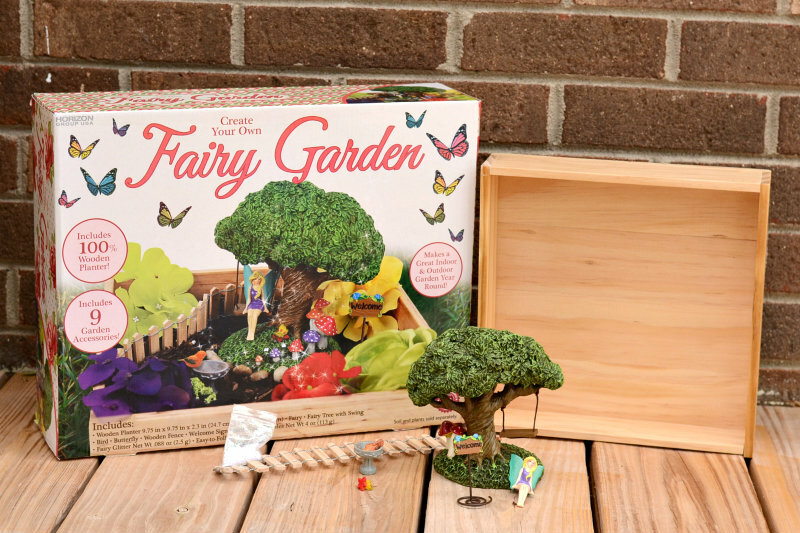 A new product from the Horizons Group (the great company that makes all the neat CraftProjectIdeas.com products), the fairy garden is a fun mixture of real and make believe that transcends from kids to adults. This week, we played with the Traditional Fairy Garden. The assembly was easy. All of the parts, minus the dirt and any plants, come in the package. 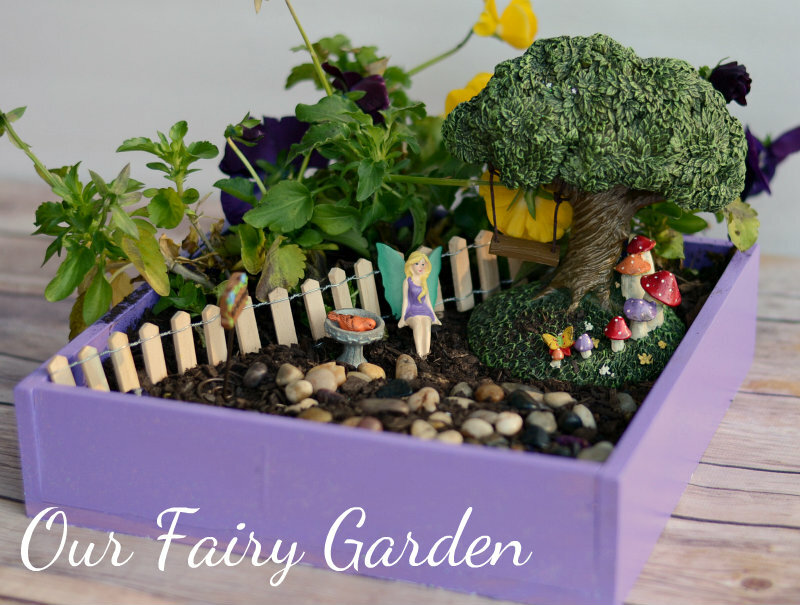 It is not required to paint the fairy garden box, but we decided to take the fun to the next level and personalize our fairy garden. A little purple paint and Sparkle Mod Podge, and our fairy garden was glitterific and perfect for any fairy to call home. 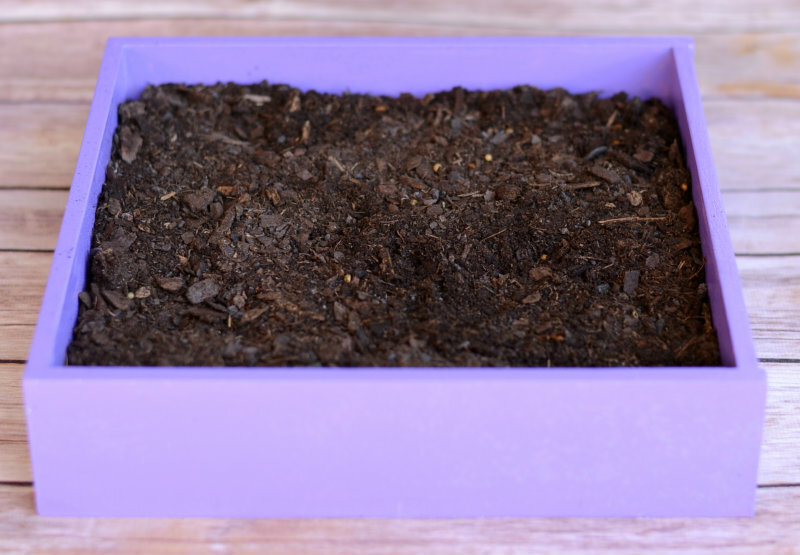 Next, we added some simple potting soil that we already had on hand. The little one then went to our local hardware store and picked out a few special flowers that she ‘just knew the fairy would love’. We planted them around the side and back. 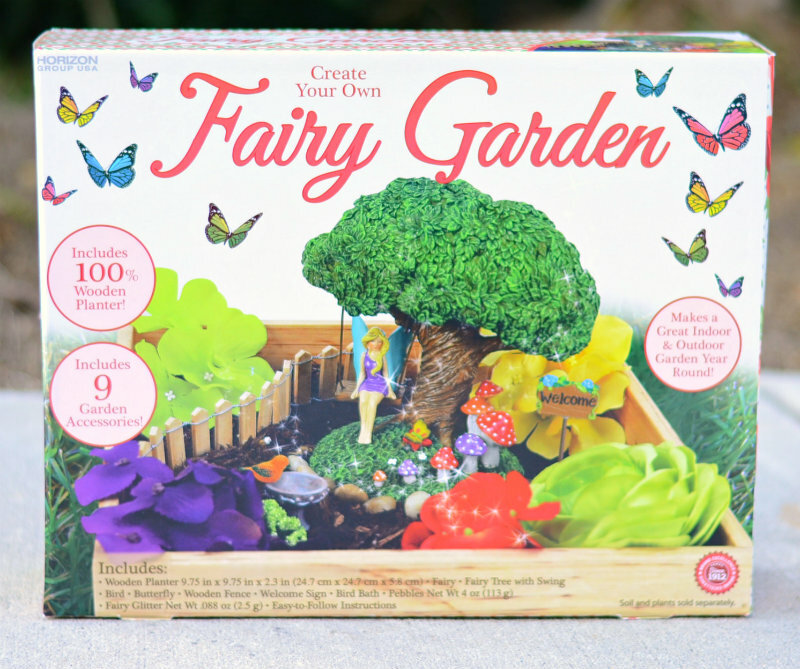 Now- add the fairy garden package products! There is no right or wrong way to build the fairy garden- that’s part of the magic. 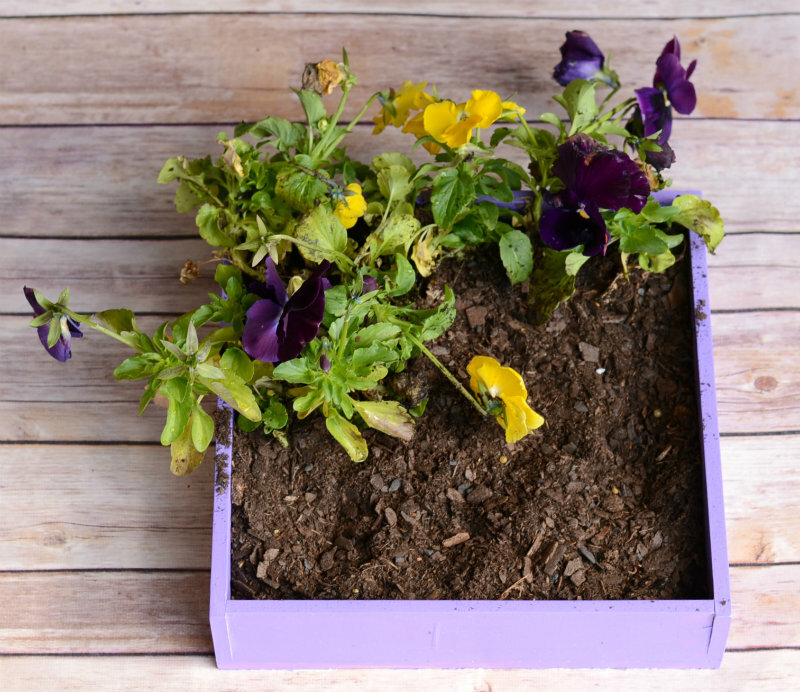 Paint it, leave it plain, add flowers, don’t add flowers- make it however you want it to be! They are great for any age group. I will have to say that I’ve been surprised by how entertained my daughter has been kept by this fairy garden. See honestly plays with it an hour+ every day! 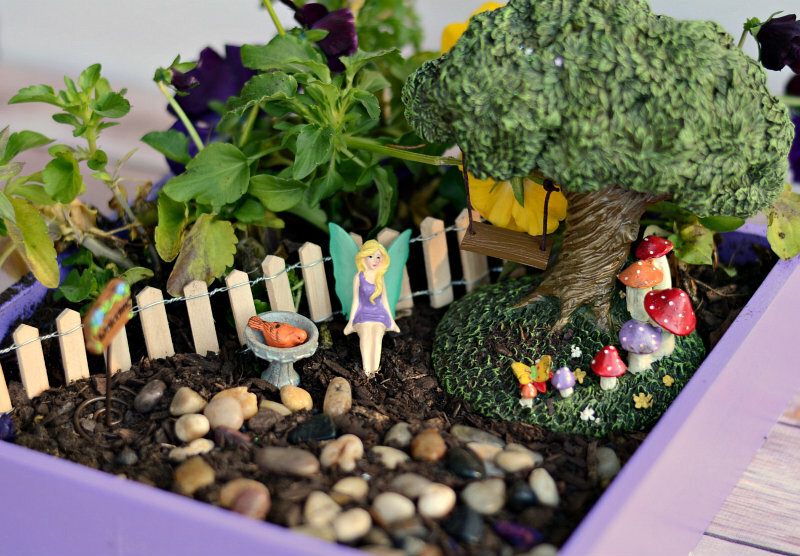 These fairy garden activity kits are only offered at Walmart for six weeks! They are $19.97 and will be located in the garden center. 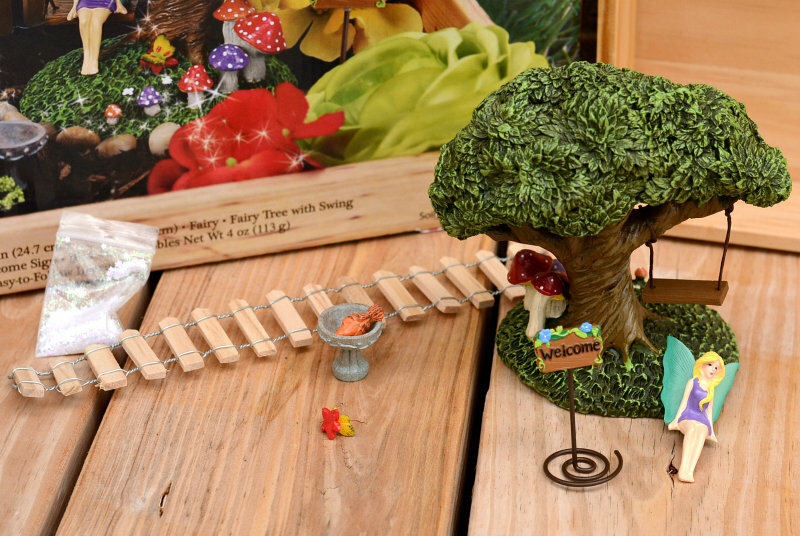 In addition to the Traditional Fairy Garden that we are enjoying, Walmart will also carry a Fairy Tea Garden Kit and a Terrarium Fairy Garden Kit. Want to see the Terrarium Garden Kit? My friend Kadie and her kids have been playing with that one. Visit the Seven Alive blog to see their fairy magic! How fun is that?! So adorable! Oh this is adorable… I don’t think my daughter is quite ready but I should probably get one now while they are available, we can always do it on a rainy day next year! This is adorable! I totally want this! Our girls are obsessed with fairies – we go to visit a nearby park that has many fairy doors hidden in the woods. That sounds like a cool park! Melanie, this is such a fun activity! I’ve never made a fairy garden before..this is GREAT! Really cute idea! I think I would have just as much fun as my four year old daughter doing this together. My niece would love this! Thanks for sharing. Cute cute! I know my little nieces would love this too! This is one of best showpiece to enjoy garden inside home. I would love to make one for my daughter, she will definitely love it! How fun! My girls would love their own Fairy Gardens! Thanks for the recommendation!